With the holidays behind us, we feel guilty about our episodes of gluttony. Though it may not last more than a week or two, we make New Years resolutions to exercise more and eat better. The gyms are packed and there’s that buzz about kale, quinoa, chia, and other healthy super foods. 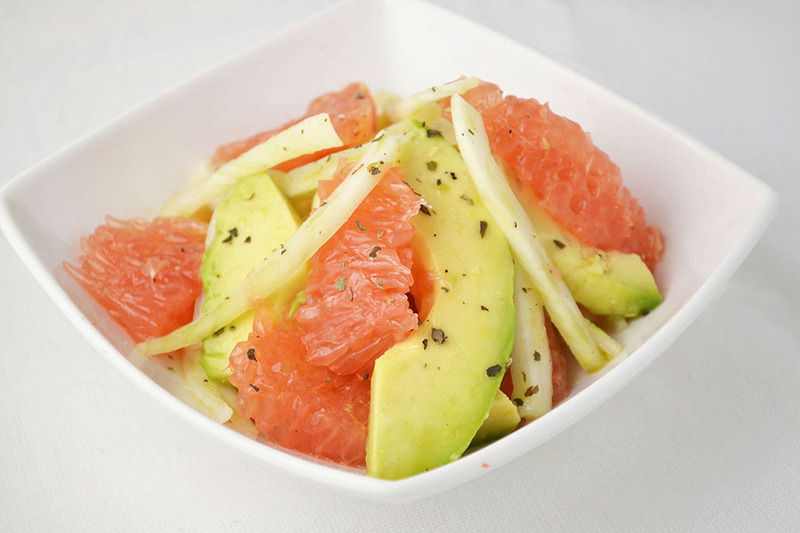 Since grapefruit is said to have properties that help reduce belly fat and we have all heard about the health benefits of avocado, I present you with this light Grapefruit, Avocado, and Fennel salad. A salad reminiscent of summer yet perfect for your post-holiday health kick, no matter how short it is. You may be thinking that this healthy salad seems too modern to have any connection to my grandmother and the early American foodies. However, I actually found this recipe, in it’s most basic form (no fennel), in “The James Beard Cookbook,” by James Beard. I’m not sure of its history before his cookbook but to me, this qualifies grapefruit and avocado salad as a classic. I made just a few modifications to the original recipe. I added fennel, which provides a crispy crunch and a licorice flavor gives the salad a light freshness. You can pick whichever vinaigrette you prefer but I opted from a lemon one made with fresh lemon juice and olive oil (which also helps preserve the color of the avocado). Want an extra kick? Try adding a little onion and chili flakes. All of your sweet, savory, and spicy bases are then covered. Another fun and surprising aspect of this super simple salad is its seasonality. Yes, it’s somewhat seasonal. It may look like a summer salad that’s perfect for a hot day (which it can be), but grapefruit will be at its peak soon – making it cheaper, sweeter, and juicier than it is the rest of the year. So pick your favorite, white or ruby red, and whip up this light refreshing salad for lunch. With the superbowl right around the corner, the return of your favorite greasy appetizers will come sooner than you think. Pour lemon juice into a small mixing bowl and slowly add olive oil in steady stream, while whisking to emulsify. Whisk in dijon mustard, salt, and pepper. Set aside. Peel and segment grapefruit with a sharp knife, ensuring all white pith is removed. Place segments in a medium mixing bowl. 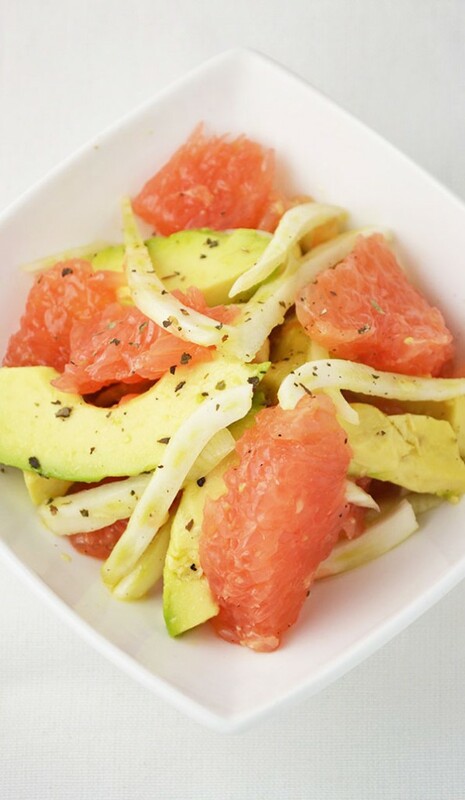 Thinly slice fennel and add to the grapefruit. Slice or dice avocado and add to the mixture. Drizzle vinaigrette over salad and lightly toss to combine. Season with additional salt and dried basil (if using). Serve immediately.